Fresh morning air infused with bacon on the griddle, followed by an evening dinner that slows down time. Starting and ending your day in the garden with the people who matter most, cooking on your Spirit Original E-320 GBS gas barbecue. 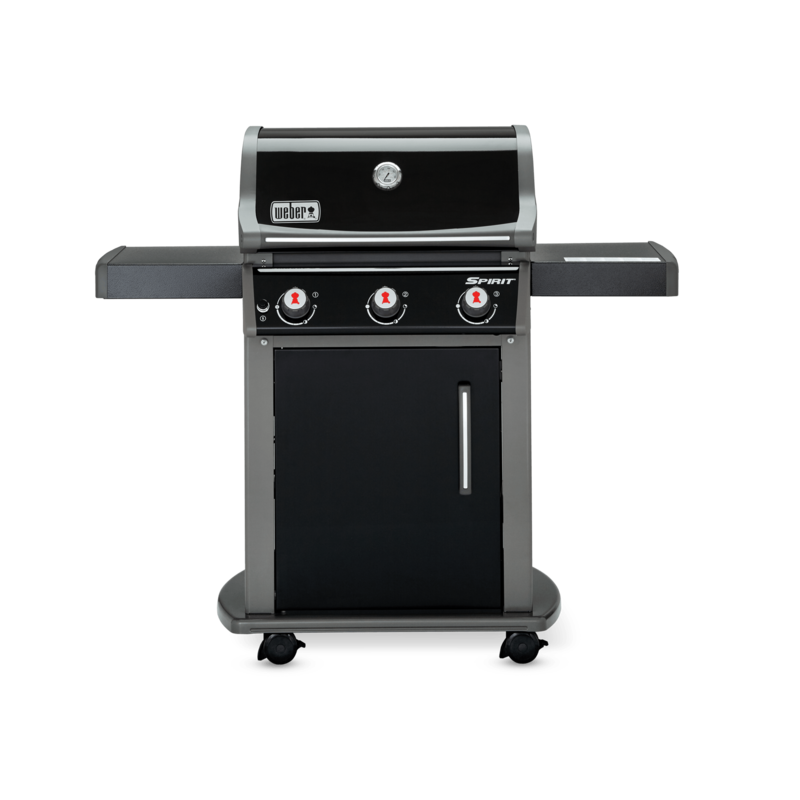 Inspire cooking creativity and encourage multi-tasking at the barbecue with the three-burner Spirit Original E-320 GBS Gas Barbecue. 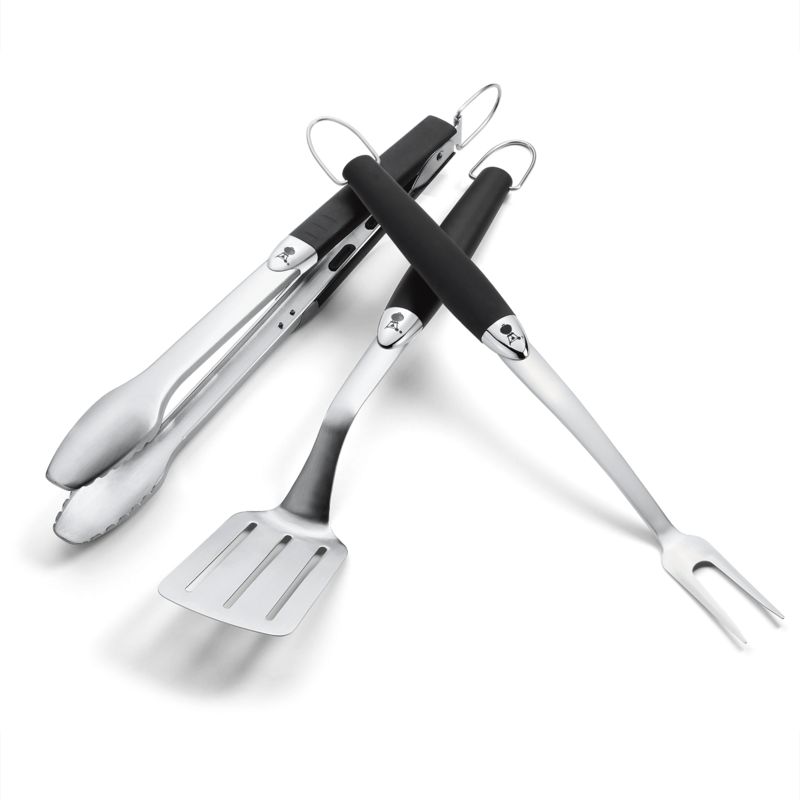 With upgrades like the Gourmet BBQ System cooking grates, powerful side burner, and barbecue cabinet, this barbecue can sear juicy steaks, simmer savoury sauces, and store extra barbecuing tools – all at the same time. 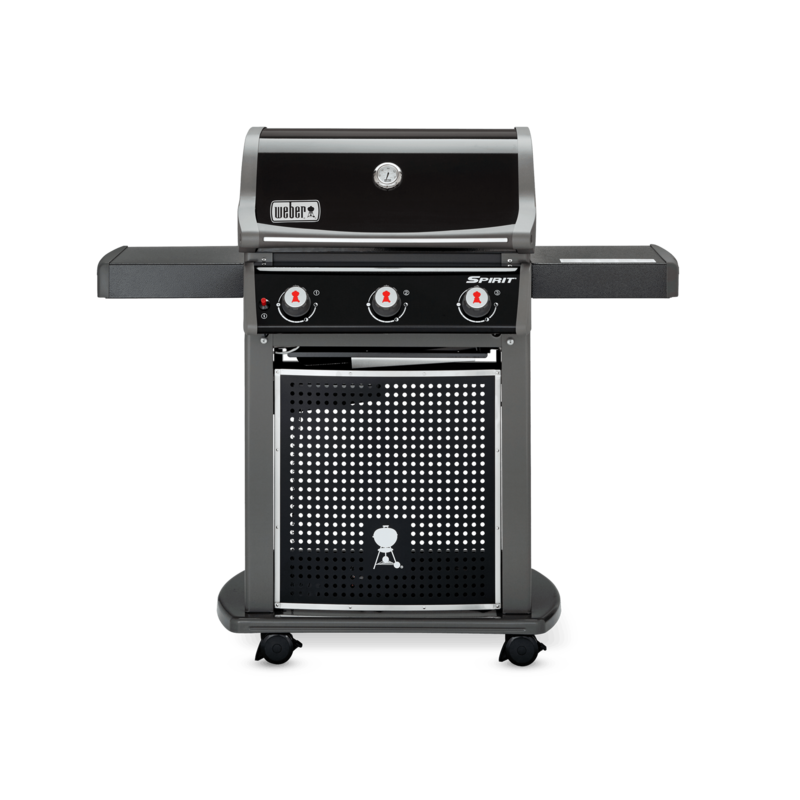 With its porcelain-enamelled cast iron Gourmet BBQ System cooking grates and removable insert, the Spirit Original E-320 GBS Gas Barbecue will inspire you to go beyond the burger. 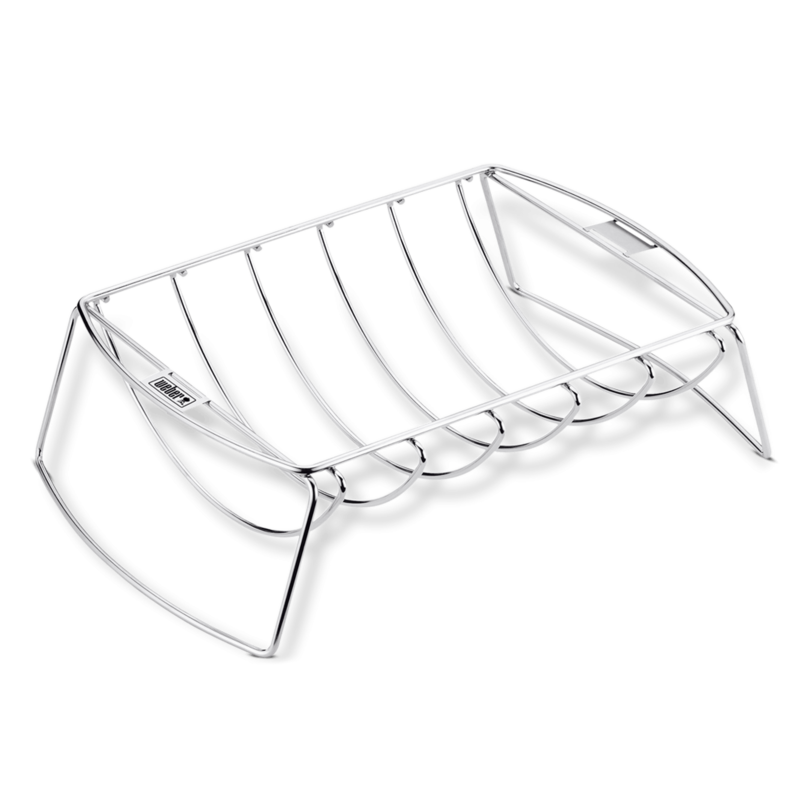 The innovative grates create a 60x44cm cooking area, retain high heat, and are strong enough to hold even the heaviest roasts. 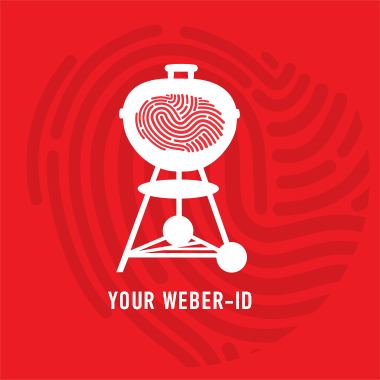 With it, you can mix it up at the barbecue by incorporating other Gourmet BBQ System components, like the sear grate, wok, and griddle – or, keep the insert in place for traditional barbecuing. Pop in the pizza stone one night, and stir-fry your dinner the next. The possibilities are endless. 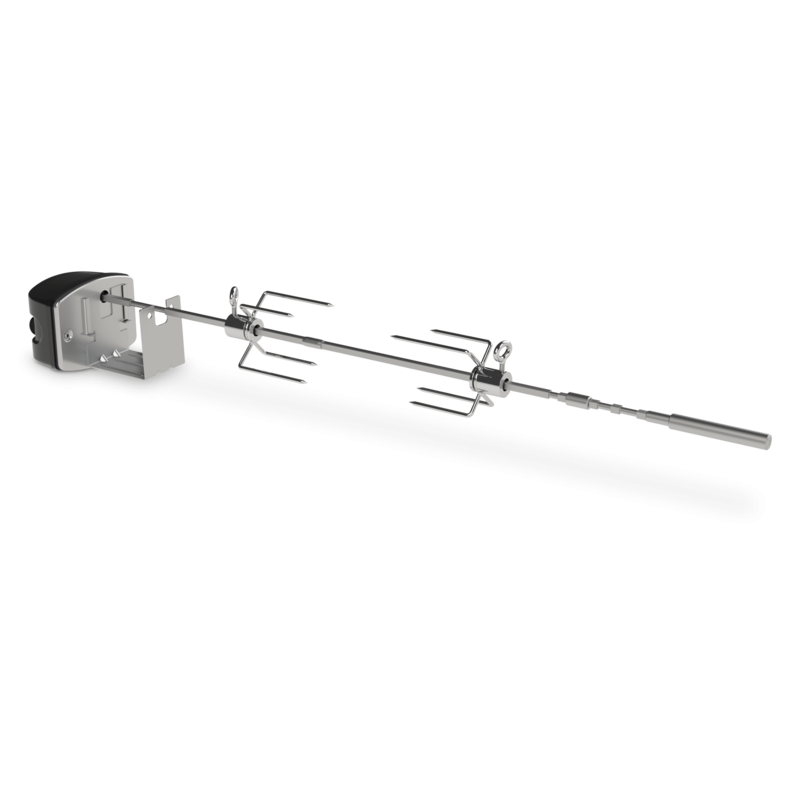 And with a 60x12cm warming rack, you’ll have ample space to move your food when it’s finished cooking. 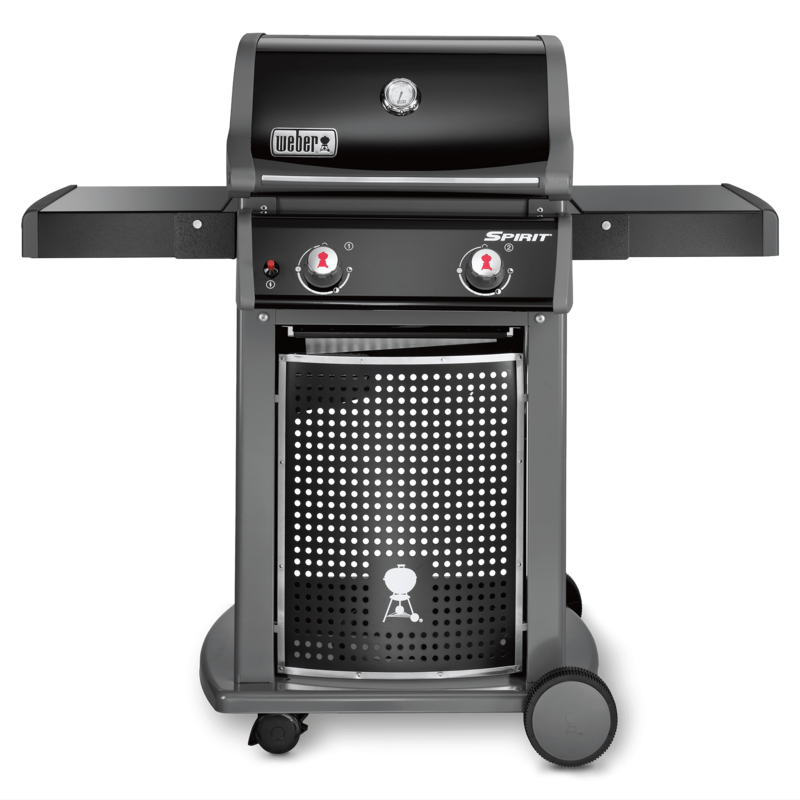 The Spirit Original E-320 GBS Gas Barbecue features an electronic crossover ignition system and three stainless steel burners, which help you light your barbecue with ease and maintain a consistent gas flow across the entire cook surface. 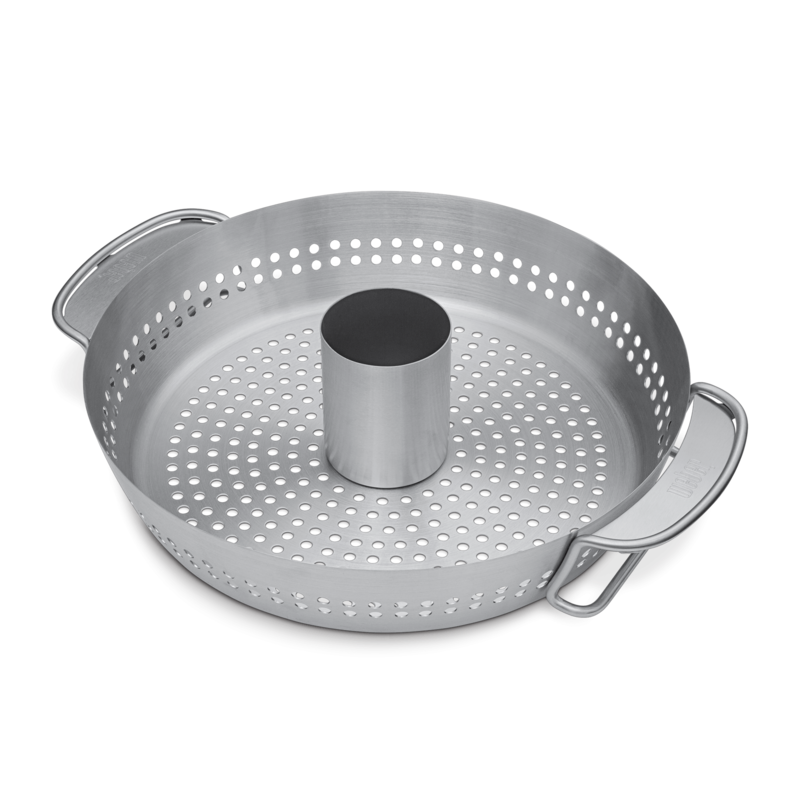 This model also includes a powerful side burner, which allows you to warm sauces, steam veggies, or boil potatoes while your steaks sear on the cooking grates. Designed with a unique angled shape, the Spirit Original E-320 GBS Gas Barbecue’s porcelain-enamelled Flavorizer bars divert grease to help reduce flare-ups and catch drippings that smoke and sizzle, creating luscious flavour. 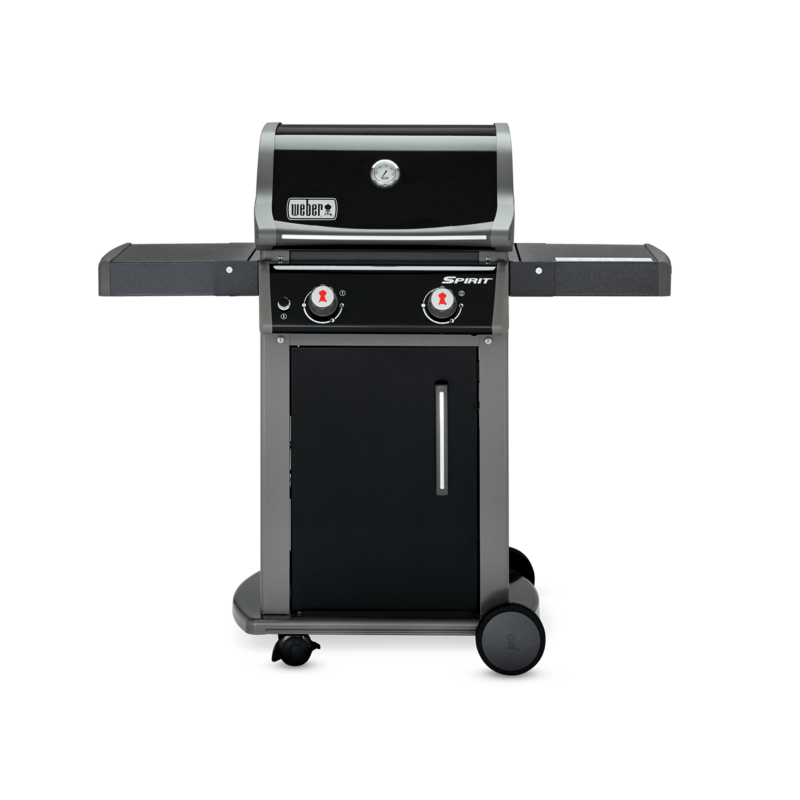 Functionality and modern design go hand-in-hand with the Spirit Original E-320 GBS Gas Barbecue. It features a barbecue cabinet that gives you ample storage space for serving trays, barbecue pans, mitts, and back-up spatulas, while its sleek porcelain-enamelled lid has a built-in thermometer to keep the temperature always in sight and help you cook with confidence. At the same time, its black metal side tables with six built-in tool hook handles expand your work space and keep utensils and condiments close at hand. 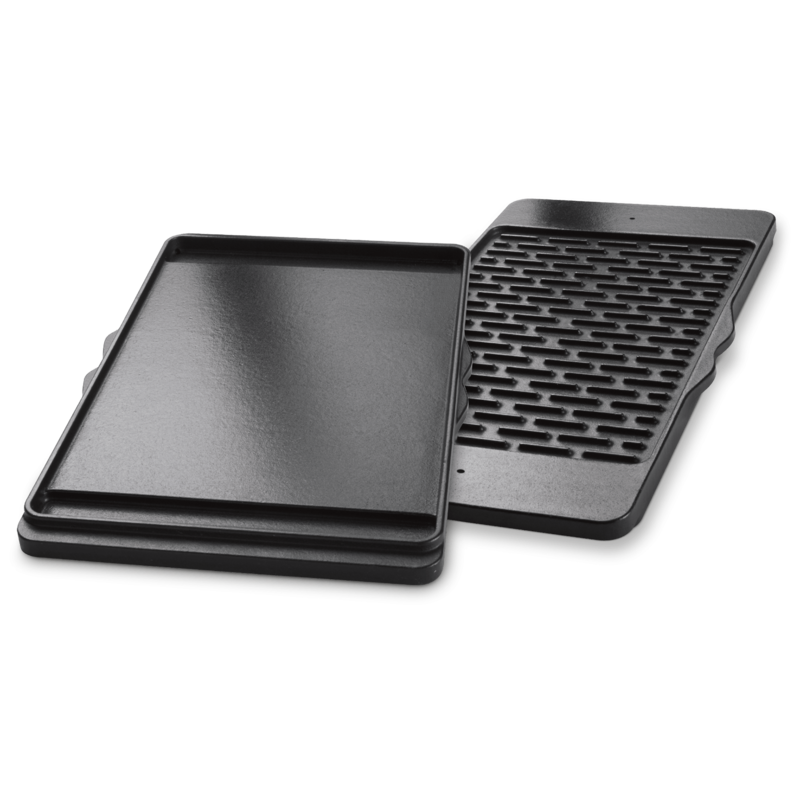 When you’re done barbecuing, a front-access grease tray with catch pan underneath the cookbox collects drippings for easy clean-up. Just remove the catch pan, and replace the drip tray with a new one, when needed. Finished with four casters, two of which lock, you can move your barbecue around the patio with ease – and keep it from rolling away mid burger flip. 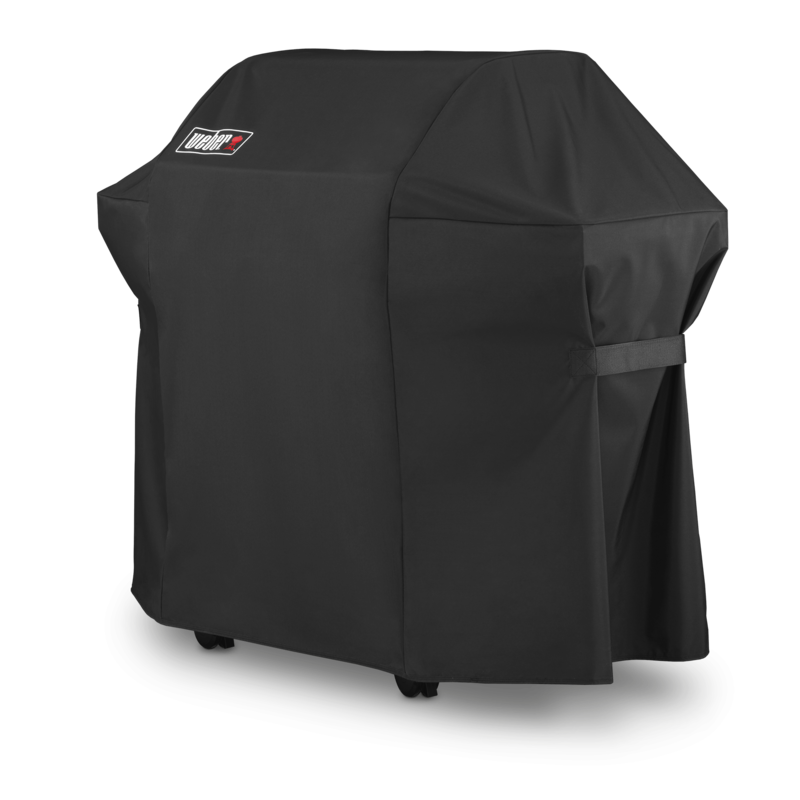 The Spirit Original E-320 GBS Gas Barbecue’s cookbox, lid, and burner tubes come with a limited 10-year warranty – guaranteed to not rust or burn through.